"The Eyri wingfolk" = The Great Eagles. 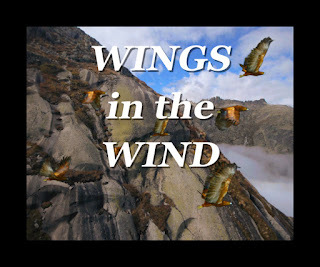 A race of highly intelligent eagles with their own language, culture & code. "Khan-harahe" = The Lord of all spirits. Also known as the Great Spirit Wind. "Mawh'eyri" = The Eagles of the Mountain land of Mawha. The most powerful of all the Eyri.